In this talk event, which will serve to conclude the first leg of the Youkobo Returnee Residence Program, returnee artist David Franklin will be invited to talk with the audience about his latest research conducted at Youkobo through December and January, in relation to his experiences during his first residency at Youkobo in 2009. Following his presentation a discussion will be held to discuss, among other things, the significance of residencies for users and hosts, the changing needs of artists and recent trends seen in new residency models, in addition to David’s experiences of participating in residency programs, including his ongoing research residency at the National Art Museum of Catalonia, in Barcelona. *Reservation required (max. 25 persons). 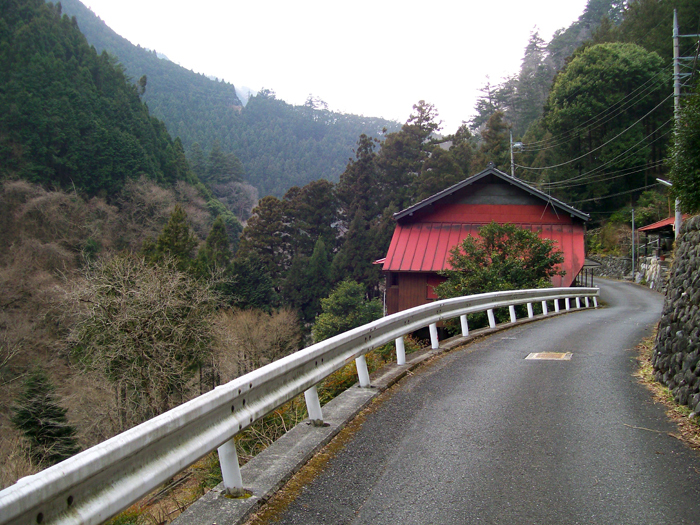 Please send an e-mail to info@youkobo.co.jp, including your name. 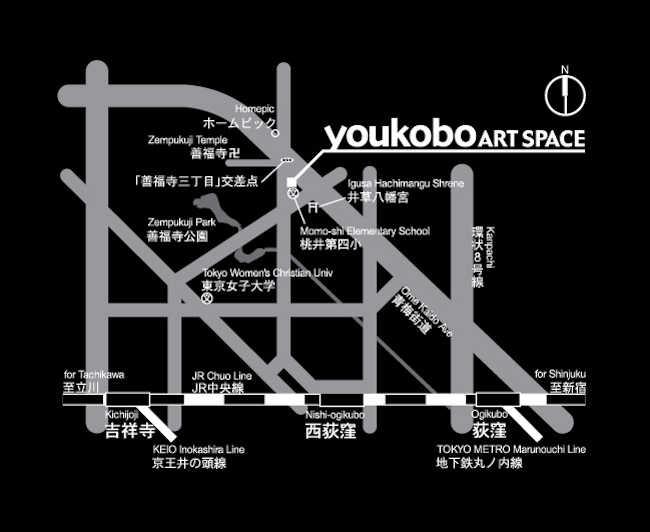 Since 1989, Youkobo Art Space has, through the management of an Artist in Residence (AIR) program and experimental gallery for the exhibition and presentation of art, worked to offer support to other AIR programs while also developing international exchange, community activities, and human resources. 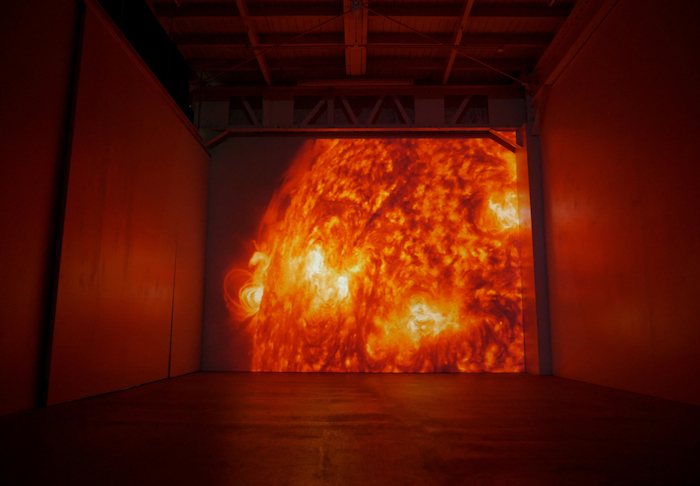 To date, over 280 artists from approximately 40 countries have stayed and produced at Youkobo as participants in the AIR program, while more than 150 Tokyo-based artists have exhibited in Youkobo’s experimental gallery programs. To celebrate and reflect on 30 years of hosting and supporting art professionals, Youkobo Art Space has launched the Youkobo Returnee Residency Program, which invites artists who have previously undertaken a residency at Youkobo to further develop their creative research. 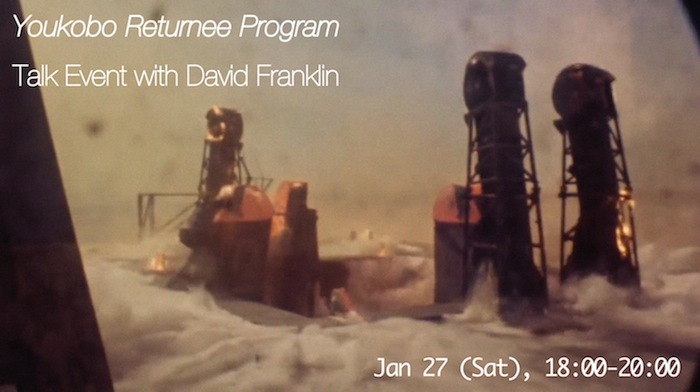 In this, the first leg of the program, visual artist David Franklin will stay in Tokyo for a two-month residency. CURSE is an exhibition by David Franklin of works in progress and new experiments resulting from his two month residency at Youkobo Art Space, where he has been conducting research for the first stage of a new long-term project. 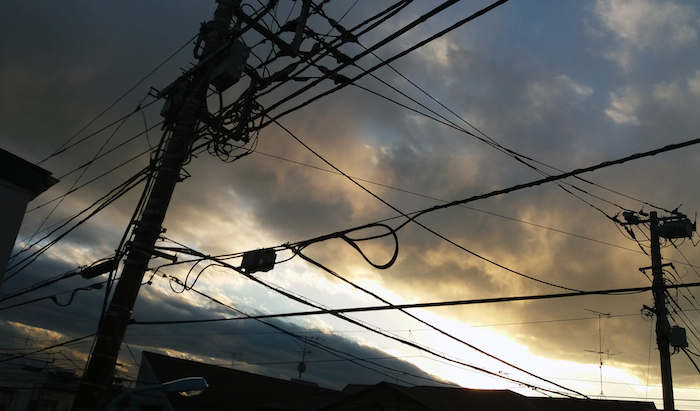 This new project will explore various aspects of the Japanese landscape, how it is shaped by and in turn impacts human activity, particularly in relation to culture and the influence of the postwar period in Japan. At the same time the project will also explore the working processes of butoh performers in creating their work, as a way of examining the subtle influence environment has on our thinking and behaviour. The project will be realised across a range of media, including video installation and drawing. 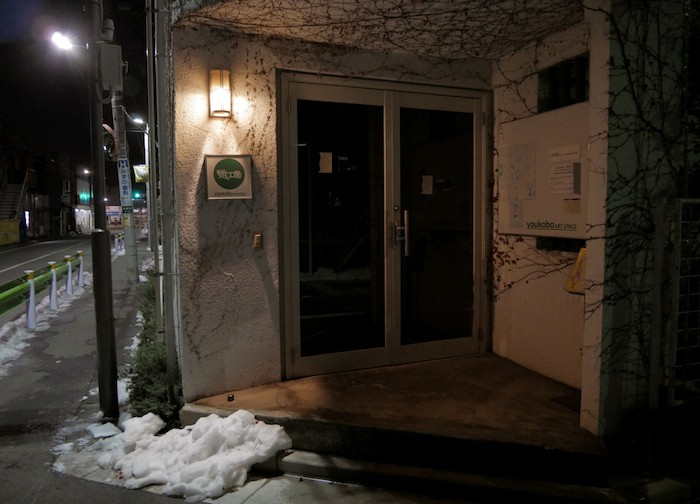 Gallery is open from 12:00 -19:00, closed on Mondays and Tuesdays. 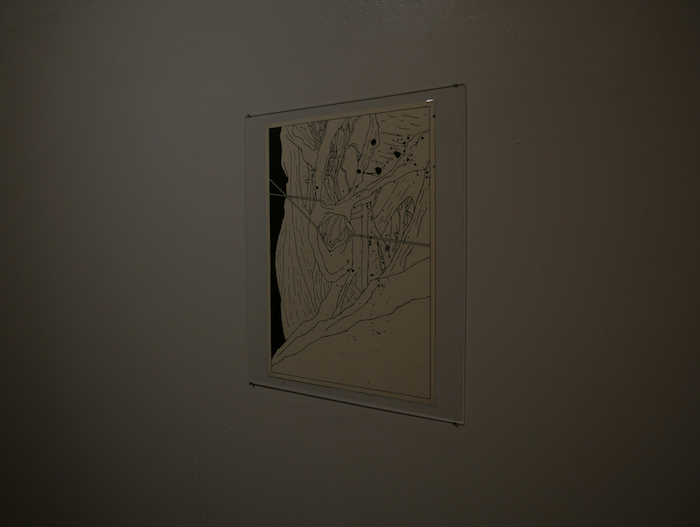 Youkobo Art Space, Zempukuji 3-2-10, Suginami-ku, Tokyo, 167-0041. David Franklin is an Irish visual artist living in Barcelona, Spain, working primarily with painting, drawing, and video. His current work in development looks at the intersection of landscape and the use of images in constructing our conception of our environment, drawing on, among other things, the influence of technology, geography, and social customs on visual art and images; astrobiology and the expansion of the human environment; the history of plagues; Japanese post-war art; European Romanesque and Gothic art; and the philosophy of Chinese painting. 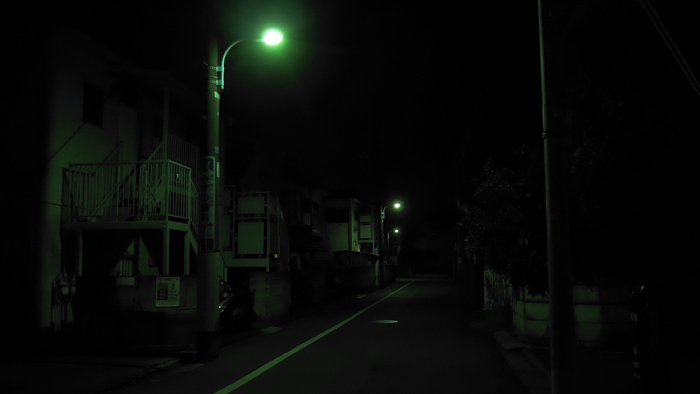 Throughout 2017 and 2018 he has been conducting a research residency at the National Art Museum of Catalonia in Barcelona, and in December of 2017 he returned to Japan for a residency at Youkobo Art Space, Tokyo. His recent publication, Empire of Rats, combines text and photos to explore the phenomenon of modern ruins in Japan and Spain and their connections to commercialism, nationalism, and cultural memory. It has been included in the archives of the Museum of Modern Art (MOMA) in New York and the Museum of Contemporary Art (MACBA ) in Barcelona. 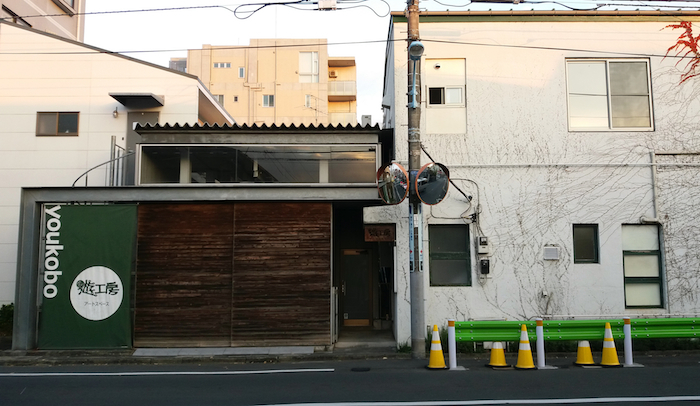 I’m currently artist in residence at Youkobo Art Space, Tokyo. I’ll be here until the end of January 2018 developing the first stage of a new long-term project. Also here in residence at this time are Ari Saarto, Anna Samsøe, and Andreas Stoubye Johansen. 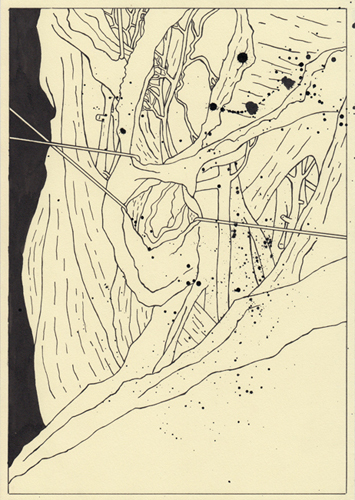 My residency is supported in part by a grant from the Institut Ramon Llull. My publication Empire of Rats (info here) has been included in the publication archives of the Museum of Modern Art in New York (MOMA) and the Museum of Contemporary Art in Barcelona (MACBA). Many thanks to Múltiplos for the support. I have been awarded a grant for the promotion of visual arts abroad by the Institut Ramon Llull, in support of my upcoming residency at Youkobo Art Space in Tokyo this December and January.